While I was in college I had the biggest desire to listen to podcasts, but never did. I was always watching a show, or listening to music, and never knew when the right time to listen to a podcast was - so I never started. Enter post-grad world: you have all this found time (i.e commuting, running errands, walking to and from those errands, etc.) In this new world there is too much time, and not enough music, but you can’t really watch TV walking around, and you definitely can’t watch TV while driving. So in come the podcasts. I have consumed more hours of podcasts in the last 8 months since graduating college than probably most sane people. They are so addicting! And there are some for every mood. It also helps that at my job we’re allowed to listen to music while we work, so I have my AirPods in all day while I listen to my tons and tons of podcasts. 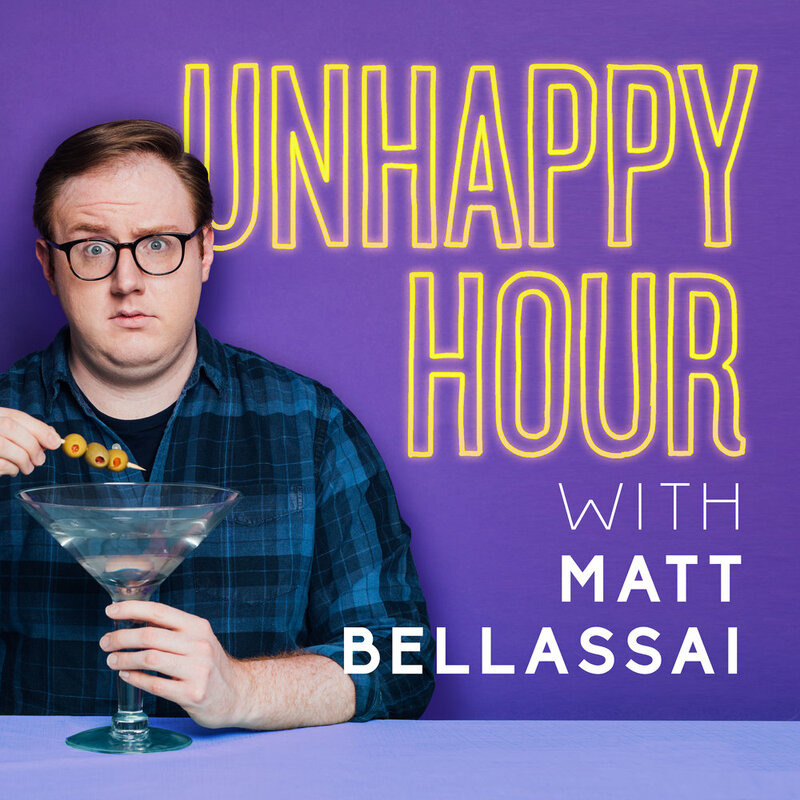 You may know Matt Bellassai from his old Buzzfeed series a few years ago, Wine About It. He would drink wine at his desk and complain about random things, and this podcast is no different. It’s surprisingly refreshing to listen to someone talk about not liking something for a change! This may be one of my favorite podcasts to date. Corinne and Krystyna are two unapologetic women who, throughout the years on their podcast, have opened conversations with people from almost every background. What began with them interviewing their exes turned into an incredible conversation on the beautiful differences in our society. If you’ve ever watched Girl Code on MTV, you probably loved Nicole Byer and you would love this podcast. Nicole has guests on the show ranging from friends, crushes, exes to peers. With each guest she explores both of their deepest insecurities, maybe touches on a few current social issues, and always ends the podcast asking her guest why they won’t date her. Betches is an incredibly popular website started by three Cornell grads while they were still in college that comments mostly on reality TV and Pop Culture, and Betch Slapped is one in the same. Their podcast is 30 min. of lighthearted discussion, usually about the last bachelor episode or Vanderpump Rules, and is definitely needed after working a 9-5. Today Explained is great when you really want to know what’s going on in the world today, quickly. They run through a major topic of discussion in the news and talk about it from the perspective of all sides so that you can have the tools you need to enter an educated conversation. Podcasts have quickly become a necessity for adulthood, and I can’t wait to discover some new ones! Do you listen to podcasts? What are some of your favorites?